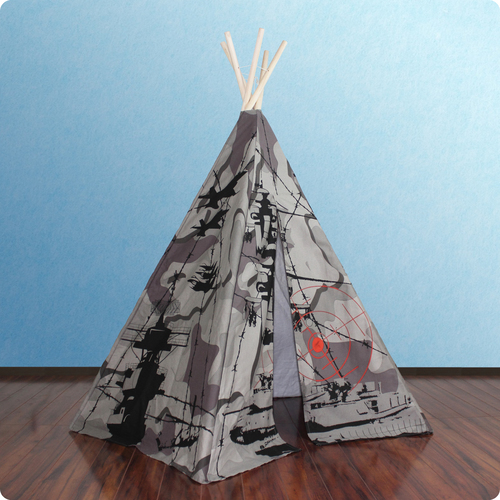 Camo Teepee - This teepee has a fun design for any little boy. 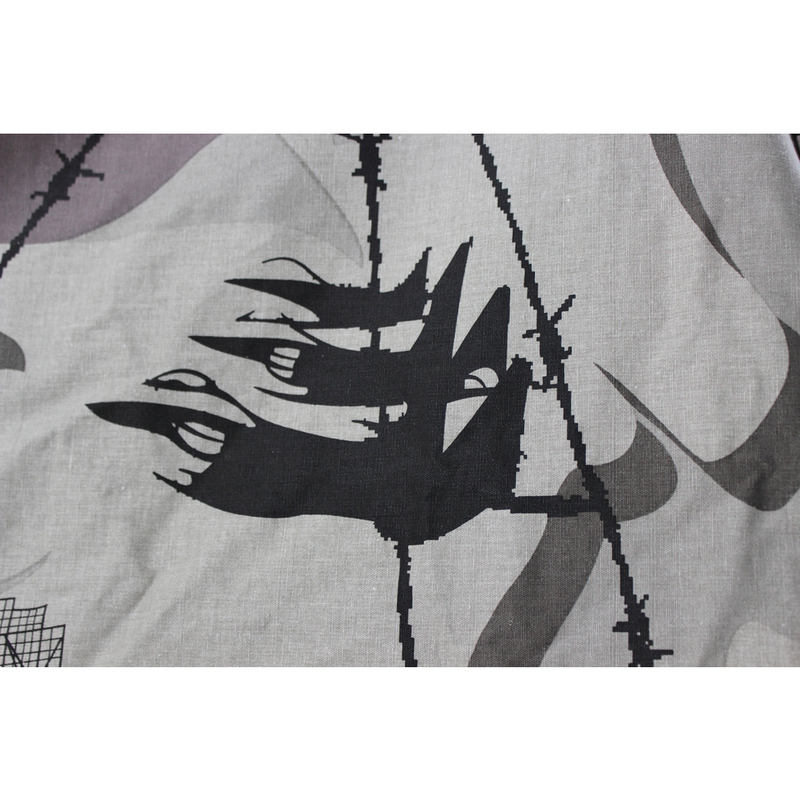 The entire tent has a silk screen camouflage design. 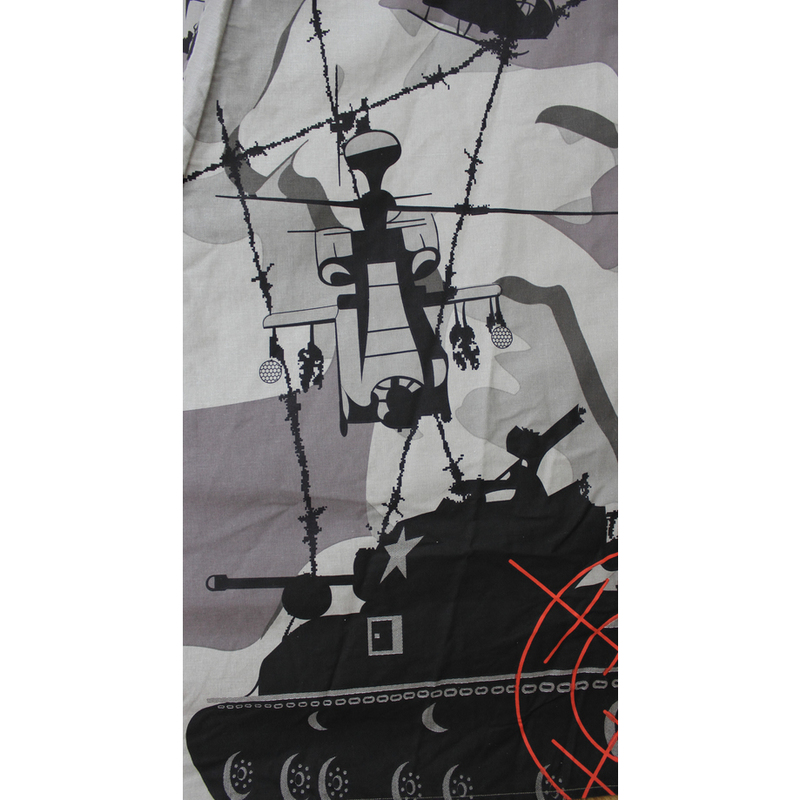 The Camo Teepee is made for Indoor or Outdoor use, is water and fire resistant and made from durable cotton canvas materials. The Camo Teepee has five panels instead of your standard 4. Easy setup. Complies to US Toy Safety Standards. For Ages 3 and Up. Excellent teepee for the Boy Scout or outdoorsman in your home! 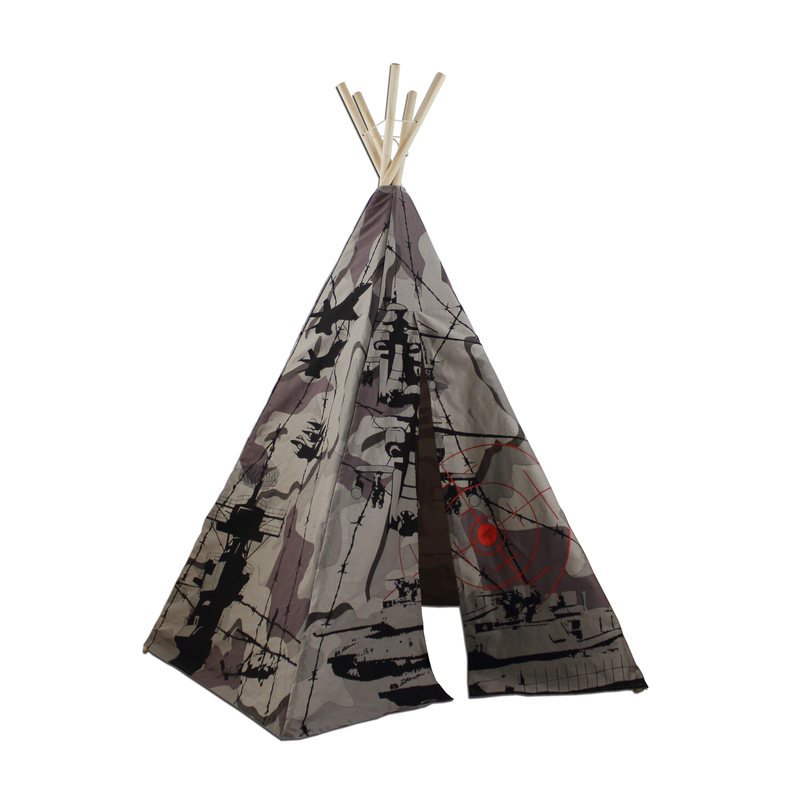 Enjoy the great outdoors, great backyard, or even your great back room in this camouflage teepee while roughing it. Teepees are made from 100% cotton with durable fire resistant and water repellent canvas, it transports easily, and it is easy to set-up and play with. Wide door flaps makes entering and leaving easy and safe.